Cost: Various packages and costs. Visit the Atlas Obscura event page for more information. Food and Drink: Visit the Atlas Obscura event page for more information. 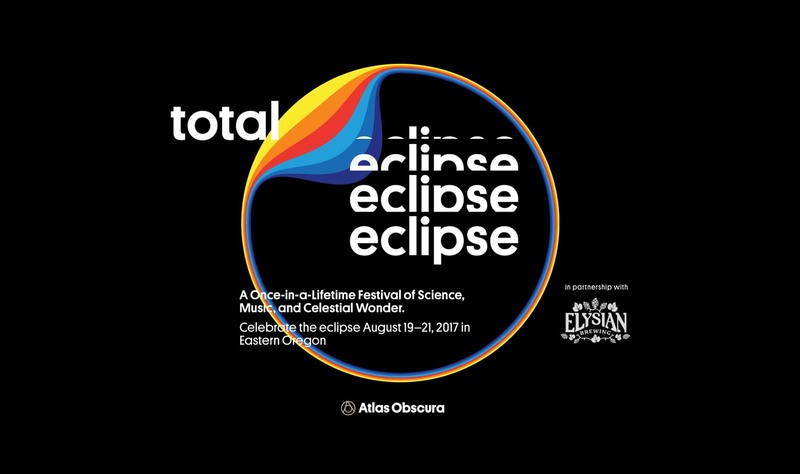 Science on Tap will be providing some space science activities at this special eclipse event in Eastern Oregon! Atlas Obscura invites you to celebrate this rare astronomical event on a gorgeous, secluded farm nestled in Oregon’s Snake River Valley. For more information, click here to visit the event page. For two days, take part in an all-out festival of wonder featuring celebrated scientists, writers, musicians and explorers, plus an under-the-stars musical performance. At the end of it all, you’ll experience the Total Eclipse itself—two minutes of midday darkness that you may never have the chance to see again.